Premier unit in the Terra Cotta now available for lease! 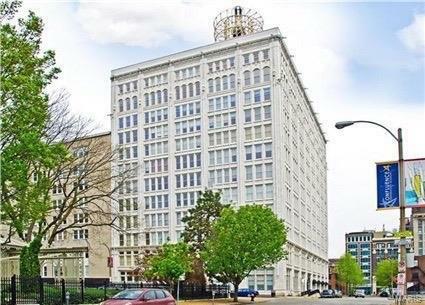 Corner unit, Arch views, 13 ft. ceilings and 14 windows for natural light. Features include granite countertops, hardwood floors, stainless appliances, designer lighting, custom paint and slate tile luxurious baths. This SPACIOUS, OPEN FLOOR PLAN is great for entertaining and great for guests, with beds and baths on opposite sides of the home. One garage parking space, storage and in-unit laundry are also included. Enjoy the fireworks on the next 4th of July from your living room, while enjoying this great downtown location. City Museum, Windows on Washington & the newly renovated City Library are 2 blocks away. It's also just a 6 block walk to ScottTrade and Metrolink. The building has a 2nd floor community room and a rooftop party deck. Truly a downtown gem! Hwy 40/64 East to 14th Street exit, turn left, go six blocks to left on Olive, right on 15th street, left on Locus. Terra Cotta is the white building on the northwest corner of 15th and Locust. The entrance is the one closest to the corner.